What We Do – Allen & Carwile, P.C. The words above, written by Justice James Clark McReynolds more than 100 years ago, are just as true today as when they were written. Although the federal bankruptcy code has gone through some significant revisions since then, its purpose remains the same: helping honest, hard-working people eliminate or restructure overwhelming financial obligations and achieve a fresh start. Bankruptcy law can save houses from foreclosure, stop collections efforts such as wage garnishments and vehicle repossession, and in many cases eliminate debt completely. However, the law is very intricate and it is important that individuals carefully consider their options and are properly advised before deciding whether to file for bankruptcy and under which Chapter of the Code is best. David Meeks is a recognized expert in Chapter 7 and Chapter 13 bankruptcy and has filed more than 500 bankruptcy cases in the United States Bankruptcy Court for the Western District of Virginia. He will help guide you through the process, advise you of the benefits and possible drawbacks, and ensure that you receive the maximum debt relief under the code. Mr. Meeks offers everyone a free initial office consultation to discuss the options available under the Bankruptcy Code. Allen & Carwile, P.C. is a debt relief agency which proudly helps people file for Bankruptcy under the Bankruptcy Code. One of the most challenging aspects of running a business is collecting money owed by individuals and other businesses. Our firm provides collection services to various business entities. We begin the process with a demand letter and file suit if the obligation remains unpaid. An associate attorney or member of the firm regularly appears in the Waynesboro, Staunton and Augusta County General District Courts seeking judgments on behalf of clients for unpaid obligations. We also provide follow up collection services such as docketing judgments in various courts and preparation of post-judgment garnishments, levies and debtor interrogatories. When the unpaid obligation is a mortgage, banks and other real estate financers are entitled to foreclose on the collateral property. G. William Watkins serves as Trustee for the DuPont Community Credit Union and regularly handles foreclosure actions on its behalf. The firm also guides other banks and individual creditors through the foreclosure process. Franchesca Fede Gomez was appointed the Commissioner of Accounts for the City of Waynesboro in 2019. The Commissioner of Accounts has general oversight of all fiduciaries who qualify before the Court, including executors and administrators of estates, trustees of testamentary trusts, guardians and conservators, as well as trustees handling foreclosure sales. The Commissioner is a quasi-judicial officer who is responsible for reviewing the timely and proper filing of inventories and accounts filed by the various fiduciaries. In addition, the Commissioner has the authority to determine the sufficiency of bonds, conduct hearings on creditors’ claims, determine reasonable compensation for fiduciaries, and resolve other issues that arise in relation to the fiduciary responsibilities. The Commissioner has the statutory responsibility to report delinquent filings and may initiate court proceedings to enforce the timely filing of documents and ensure that all fiduciary responsibilities are met. Although the Commissioner is engaged in the private practice of law, she is not permitted to provide individual legal advice. The fees of the Commissioner are established by uniform fee schedule adopted by the Judicial Council of Virginia. CLICK HERE for more details. The Circuit Court fiduciary forms and instructions are on the Virginia courts website. CLICK HERE to view this site. One of the most satisfying aspects of corporate and business law is guiding clients through the process of establishing new business ventures. Our firm coordinates with the businesses accountants, banks and other professional advisors in developing a business plan and organizational structure that best fits the needs of our clients. We draft organizational documents for all types of business entities, including corporations, limited and general partnerships, limited liability companies, and business trusts. Allen & Carwile also regularly assists established businesses with every aspect of their business including collections, reviewing and drafting contracts, employment and personnel- related issues, acquiring real estate and other assets and structuring buyouts and asset transfers. Criminal law is the body of statutory and common law that deals with crime and the legal punishment of criminal offenses. The process begins with an alleged crime. A “complaining witness” makes an accusation, which is investigated by the police, acting as agents of the government. A formal charging document called a complaint or an indictment brought by a grand jury is filed with a court in the appropriate jurisdiction. In Virginia, the interests of the state are represented by a prosecuting attorney, called a Commonwealth’s Attorney, while the interests of the defendant are represented by his defense attorney or by the defendant as “pro se“ (acting as his own attorney). The Sixth Amendment of the Constitution of the United States guarantees a criminal defendant the right to a speedy and public trial, in both state and federal courts, by an impartial jury of the State and district wherein the crime was committed and to be informed of the nature and cause of the accusation; to be confronted with the witnesses against him; to have compulsory process for obtaining witnesses in his favor and to have the assistance of counsel for his defense if the offense with which he is charged carries the possibility of a jail sentence upon conviction. Criminal statutes spell out the exact circumstances which constitute a crime. These circumstances are known as the “elements” of the offense. Unless all the elements are proven “beyond a reasonable doubt” by the prosecuting authority, the defendant is not guilty of the offense. Criminal law distinguishes crimes from civil wrongs such as tort or breach of contract. Criminal law has been seen as a system of regulating the behavior of individuals and groups in relation to societal norms whereas civil law is aimed primarily at the relationship between private individuals and their rights and obligations under the law. Although many ancient legal systems did not clearly define a distinction between criminal and civil law, in England there was little difference until the codification of criminal law occurred in the late nineteenth century. In most U.S. law schools, the basic course in criminal law is based upon the English common criminal law of 1750, the tradition from which most criminal law in Virginia descends. Tim Carwile understands that you have responsbilities to your family, job and others that require you to drive. 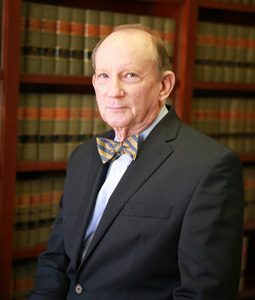 For over 40 years, he has served his firm’s clients, primarily in the central Shenandoah Valley — first, as a Waynesboro prosecutor for more than eight years; and, since then, in private, trial practice as a respected criminal defense lawyer, handling DUI, reckless driving and other serious traffic defenses. Virginia DUI/DWI law is tough and Virginia prosecutors are understandably under considerable pressure to deliver successful prosecutions. A DUI arrest is not a conviction. The arresting officer may have made an improper stop, the breathalyzer may have been administered illegally or the defendant may not have been properly informed of his or her Constitutional rights. These are just a few of the factors we can analyze when reviewing your DUI case and there are many others dependent upon the unique facts of each individual case. Consult with a well-known, respected and acknowledged authority that attorneys across the Commonwealth turn to for advice on DUI/DWI and traffic law. Do I need to hire an attorney if I am charged with driving under the influence (sometimes called “DUI” or “DWI”)? While every case is unique, you are well-advised to at least consult with experienced legal counsel to determine whether you should be represented at trial. At that meeting, you would ask questions and receive advice on such topics as penalties under current Virginia law, possible defenses available and potential consequences of a conviction. What is the current punishment for DUI, 1st offense, in Virginia? Suppose my blood or breath alcohol (“BAC”) level is less than .08? While there is a rebuttable presumption that someone operating a motor vehicle in Virginia is driving “under the influence” if his or her BAC is .08 or greater, one may nevertheless be convicted under certain circumstances with a BAC that is less than .08. You should consult competent legal counsel for further details. What if I am arrested for DUI for the first time but my BAC is “high” (that is, .15 or above)? Under current Virginia law, a conviction of DUI with a “high” BAC carries mandatory jail sentences, in addition to all the other penalties discussed above. For instance, if the BAC is .15 to .20, inclusive, the mandatory minimum jail sentence for DUI, 1st offense, is five days and, if the BAC is .21 or higher, the mandatory minimum jail sentence is 10 days. In addition to the issues involved in estate, financial and health care planning discussed elsewhere on this website, the aging process raises unique legal issues of its own. As one of our mothers has reminded us, “Aging is not for sissies!” This truth is reflected in the complex, heavy regulated world of benefits law that many of us will depend upon for assistance as we outlive our resources. Careful planning is necessary to preserve our assets for our future care, with the hope of having something left to pass on to our children and grandchildren. Allen & Carwile is experienced in guiding its older clients and their families through the legal minefields of Medicare, Medicaid, long-term care strategies, reverse mortgages and guardianship and conservatorship proceedings. Allen & Carwile regularly assists clients in obtaining guardianship and conservatorship for incapacitated adults. Guardians and conservators are appointed by the circuit court where the incapacitated person resides. It is often unnecessary to appoint a guardian and conservator if the incapacitated person executed a power of attorney. However, the power of attorney must be signed before the onset of the incapacity. Parents often seek to be appointed guardian and conservator for disabled adult children so that they can continue to handle personal and financial decisions concerning their care and support. Adult children often seek appointment when their elderly parents require assistance with daily living skills and medical care. In addition to assisting clients with the appointment of a guardian and conservator, Franchesca Gomez regularly serves as a court-appointed guardianÂ ad litem, which is an attorney appointed by the court to meet with the incapacitated adult to explain the court proceeding and advise the court regarding the best course of action to benefit the incapacitated individual. The law governing landlord-tenant relations in Virginia is complex and, as such, can be confusing for everyone involved. Certain lease agreements are governed by the Virginia Residential Landlord Tenant Act which states, with great specificity, the rights and responsibilities of both landlord and tenant. It also lays out the procedure both must follow in the event a dispute should arise involving the non-payment of rent, the condition of the residence premises or the conduct of the landlord, tenant or the tenant’s guests or invitees. Other lease agreements do not fall under the jurisdiction of the VRLTA and must instead be interpreted pursuant to ordinary contract law or other provisions of the Virginia Code. Not knowing the law that governs your lease can not only be expensive when a problem arises, it can also be dangerous. A landlord who doesn’t understand his responsibility under the law may unknowingly damage his attempt to evict a tenant for not payment of rent by failing to give the tenant a notice required by law. A tenant may stay in an unhealthy or even unsafe residence because he does not know how to force a landlord to make necessary repairs. The attorneys at Allen & Carwile represent both landlords and tenants, assisting them with everything from drafting and reviewing commercial and residential lease agreements to prosecuting and defending actions for eviction. Our clients range from individuals who rent single-family homes to some of the largest providers of HUD-subsidized housing in the area. Our goal is to prevent problems before they start by carefully reviewing and drafting leases before they are signed and counseling our clients to do their homework before they rent to or from someone. But should a dispute arise during the lease period, our attorneys are experts in guiding our clients through the process of properly terminating lease agreements and judicial eviction. Allen & Carwile’s lawyers and staff have helped thousands of individuals and businesses buy, sell and refinance real estate. Our attorneys conduct closings for all major lenders and title insurance companies and the firm is a shareholder in Court Square Title Agency, L.L.C. which has offices in Staunton, Verona and Fishersville. Our attorneys are certified settlement agents pursuant to the Virginia State Bar and Virginia Consumer Real Estate Settlement Protection Act. Estate planning is the process of accumulating and disposing of an estate to maximize the goals of the estate owner. The various goals of estate planning include making sure the greatest portion of the estate passes to the estate owner’s intended beneficiaries, paying the least amount of transfer taxes and avoiding or minimizing probate court involvement. Additional goals typically include providing for and designating guardians for minor children and planning for incapacity. The tools involved in estate planning include the will, various types of trusts, beneficiary designations, powers of appointment, various forms of property ownership (Joint tenancy with rights of survivorship, tenancy in common, tenancy by the entirety, etc. ), gifting, and powers of attorney, specifically durable financial powers of attorney and durable medical powers of attorney also known as advance medical directives. Trusts can be used in an estate plan to minimize one’s tax exposure. Trusts may also enable you to control the management of the assets of the trust. For example, a trust could be used to manage the inheritance of a young person who may not be mature enough to handle money, but permit the funds to be used for the youngster’s health, education, support and maintenance until he or she attains a certain age or level of education or training, at which time the remaining income and principal may be distributed. One can also distribute one’s assets for charitable purposes by creating an irrevocable charitable trust that may distribute the principal or the income of the trust much in the same manner as a private foundation with commensurate tax benefits. Special needs trusts may be designed to ensure that beneficiaries who are developmentally disabled or mentally ill can receive inheritances without losing access to essential government benefits. In some states, estate administration is difficult, complex and expensive. So much so, in fact, that many estate planners in those states recommend the transfer of all of their clients’ assets into revocable living trusts in order to avoid probate altogether. However, the creation of these trusts, the transfer of assets and maintenance of the trusts during your lifetime may be complex, tedious and expensive. And, unless you are diligent about maintaining your assets in the trust, the plan can easily fall apart over the course of a lifetime. Fortunately, Virginia’s probate process is relatively inexpensive and easy to maneuver with a well-drawn will that takes advantage of all of the tools that our General Assembly has made available for use in keeping estate administration as simple as possible. For this reason, we do not generally recommend that you use a trust solely for the purpose of avoiding probate. In most cases, it is just not worth the time, effort and expense. With a little guidance from us, most of our clients are able to administer the estates of their loved ones on their own. Other estates are more complex because of their sizes, the nature of the assets involved or the family dynamics at work. In these cases, we can do as much or all of the work necessary for the lawful and efficient transfer of assets to succeeding generations.